I’ve been really excited about this new show. Not because I’ve been reading up on it or discovering anything about its premise, but because I’m just generally a fan of Ben Feldman (he was Fred from Drop Dead Diva, after all) and I’m interested to see what Cristin Milioti can do. And I must say, despite a potentially flawed premise, I actually enjoyed what I saw. The main reason is Ben Feldman. Feldman was instantly charismatic and likable (unlike some folks from other recent premieres). Despite being a very How I Met Your Mother‘s Ted-like dreamer, he was weirdly relatable, leaving me laughing outloud had he looked cool and manly with his friends, only to sing loudly and passionately in the car to Celine Dion’s 1990s hit “My Heart Will Go on” (I would totally do that…and let’s be honest, I probably have). True, perhaps there’s a struggle here with the fact that he is a little like Ted from HIMYM, calling back to destiny and making a first date mean more than it really should. But for Feldman, his quirky insecurities in his character really work. I found myself laughing along with him. In fact, the only real flaw in his similarities with Ted is his costar Milioti. Because Milioti famously played the mother in HIMYM, it automatically draws comparisons between this show and HIMYM in a couple different ways. First and foremost, I’m finding myself seeing the mother in Milioti, not this new persona which includes being a successful lawyer and guarded about relationships. Somehow, Milioti just doesn’t seem to have this hard edge. Worry not, Milioti fans. I’m certainly not trying to be a hater. While I was more hesitate about embracing her character, I’m still intrigued. She was cute. She was fun. And ultimately, once I get beyond my own comparisons, I think it’ll be fine. She’s certainly not playing the mother on this new series. She’s playing Zelda. This is my own issue, not hers. But with that in mind, let’s go to the real elephant in the room her. The narration (which I’m not 100% sold on, but I can live with — possibly because I love Katey Sagal) has already told us how long this budding relationship will me. Which means that in order for this show to be sustainable, we will either have to have them break up at that point and find their way back to each other. Or they’ll have to move from dating to engaged (or I suppose married). Either way, it all seems too focused on the end point, which again brings us back to HIMYM. That show, too, was so focused on one story — how Ted met the mother — that when it veered off-course, the audience balked. It struggled to remain high quality within the bounds of its own structure. This show has a very tight structure as well, possibly with more limitations. If they dated this long, does that mean they really can’t break up any time before that? There’s no tension with jealousies because they clearly stay together? If it’s all focused on Andrew and Zelda, can side characters even have their own stories? It’s tough to tell. But right now, it’s incredibly enjoyable. I’m excited to see another episode — the first comedy I can say that about this season. So kudos, A to Z. Let’s turn the page and see what happens next in this story. If you’re bothered about all the HIMYM comparisons in this post, note that I’m not the only one. Here are a few other pieces making the comparison. Note: I watched this episode and wrote this post before reading these pieces, so they didn’t influence my opinion. Is A to Z anything like HIMYM? A to Z: Did You Meet-Cute With NBC’s New Rom-Com? 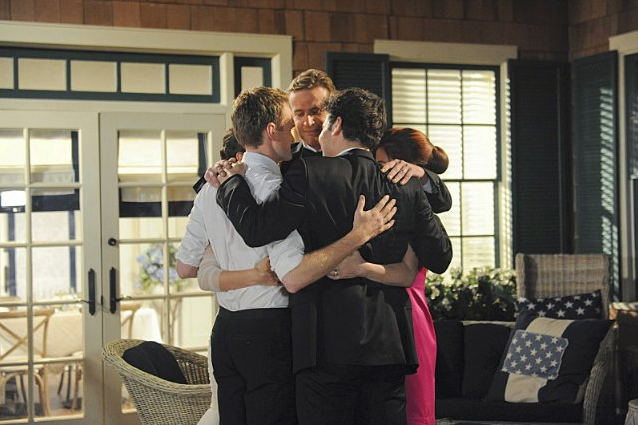 In my mind, the way HIMYM would have ended would have felt like the picture above. A big group hug. After all, saying good-bye to these characters that we’ve watched grow for nine years should feel as sentimental as it was saying good-bye to Ted when he was supposedly moving to Chicago. But last night’s finale was not my sentimental good-bye. And while I’d like to spend my time here screaming and ranting about why I wanted something better, I’m going to try to make this as coherent as possible as to why this finale just didn’t work. There are enough people out there telling us how pissed they are. I don’t need to add to it. I’ll certainly say I’m not pleased with the ending of this series. Sure, it annoyed me that all those theories ended up true (with the exception of my own). That Robin ended up with Ted in the end. But here’s why. First, the episode just wasn’t funny. And, in fact, it was depressing. Somehow, I didn’t get excited throughout the day, anticipating seeing all my favorite characters’ lives fall apart. I didn’t want to see a marriage — one that began with beautiful wedding where a couple moved past their cold feet to marry the ones they truly love (three deep breaths, right?) — that I’d spent all season waiting for fall apart within three years. Or in the case of this episode, within twenty minutes. I didn’t like seeing that the gang fell apart, even if it was foreshadowed earlier in the season. I didn’t like seeing Lily pregnant and alone in the old apartment. I didn’t like seeing Barney become such a despicable person. There’s a line from The Wedding Singer that I always remember about the Fonz from Happy Days: “No one wanted to see a fifty-year-old guy picking up chicks.” True then. True now. It just got ugly. I wanted humor. I didn’t get any relief. After the team said good-bye outside the wedding reception, it’s almost like they said good-bye to who they were in the series. Where were the jokes? Marshall slipped into the background, only being useful to point out “big moments.” Lily was sad and lamenting. No one interacted with each other to crack a joke, and it just made the entire thing depressing to watch. Honestly, at one point, I thought that this was all a trick. That Ted would suddenly reveal that had he walked across that platform to introduce himself in that moment, all of those moments in the future would come to pass. But instead, he waited five more minutes, and suddenly, here’s the happy ending. But as we all know, that didn’t happen. We just kept with the darkest timeline. It’s been years in the making. 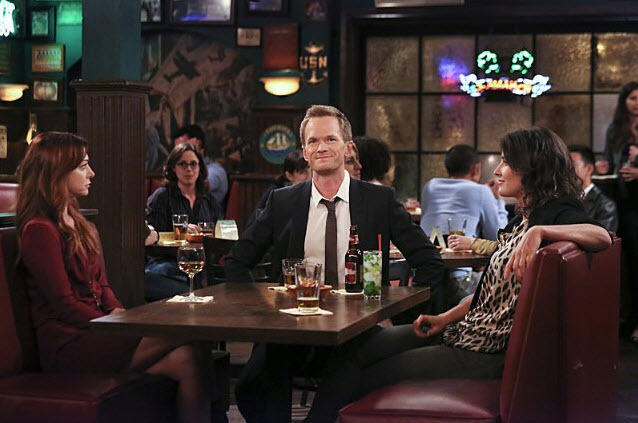 Tonight, we finally see how Ted met the mother on How I Met Your Mother. I have my own theories on how this happened, and I guess we’ll find out if I’m right, wrong, or just way off. But the heck with what’s going to happen tonight. Let’s take a moment to look back on some of my favorite episode of a show that, while it’s had some rocky times, has had some of the freshest moments in sitcom history in recent years. I’ve decided to share my top five episodes from HIMYM. I’m not saying these are the best there ever were. I’m sure I’m missing some very iconic moments (like a certain musical number) and very special episodes (like “Bad News”), but these are the five episodes that, when I see them on TV, I will stop what I’m doing and watch — no matter what. Even in the saddest of moments (like the third option below), these episodes make me happy. So here goes. Slap Bet. You may argue that two beavers are better than one. You may be sitting around building sandcastles in the sand. But this first episode featuring a super special pop icon is the one that I can never forget. Someone give me some Robin Sparkles. To me, this was one of those episodes that really showed what the series was capable of. 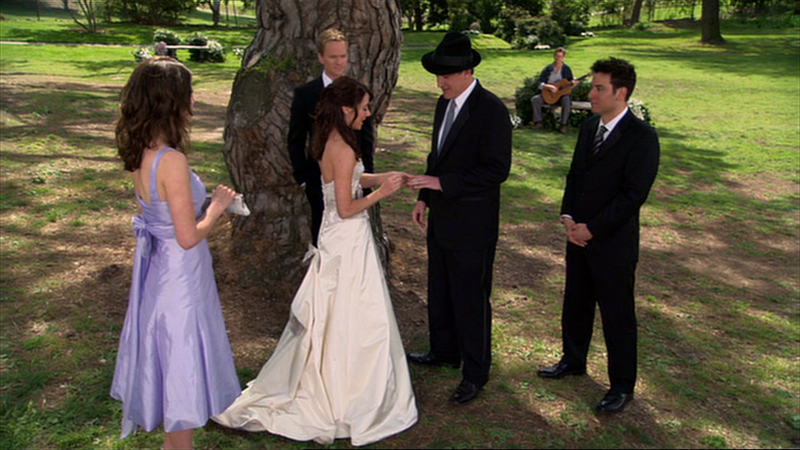 It gave us a slap bet that carried through the rest of the series, all up until the moment Barney was standing at the alter. But most of all, it gave us this song and music video, which still makes me laugh to this day. PS – I love you, Robin. Subway Wars. I’m not what it is about this episode, but for some reason, I find it hilarious. Robin is trying to prove herself as a “real New Yorker.” What ensues is a crazy race, where all five claim they know the fastest way across town: bus, subway, taxi, on foot, or…well…Barney’s solution. Somehow, the combination of an interactive map, music, and comical situations come together for a fantastic episode. Symphony of Illumination. It is at this moment that I’m realizing that many of my favorite episodes are Robin-centric. That’s not on purpose (and I’d argue that “Subway Wars” focuses on all five characters). Nonetheless, I have to give a major shoutout (MAJOR SHOUTOUT) to “Symphony of Illumination.” While this episode got a lot of mixed reactions, it turned the series on its head by giving us one episode narrated by someone else: Robin. As Robin and Barney work through a pregnancy scare, Robin discovers that she actually can never have children. Keeping it to herself, the episode culminates in a beautiful — and legendary — light show, set up by Ted. Three Days of Snow. An epic snowstorm. Three distinct stories. All fantastic. But, of course, what gets me the most in the ending. While I love Barney and Ted going all Cocktail, seeing Marshall show up, listing what he ate for lunch, to prove his love to Lily with a full marching band at the airport is just beautiful. I love it. Something Borrowed. This episode is officially my favorite episode of the series, so, despite my not being able to find a suitable video, I had to share it. It’s the day of Lily and Marshall’s wedding, and everything is going wrong — not that it was the wedding they planned anyway. But amidst all the chaos is Lily’s ex-boyfriend, a shirtless groomsman, a harp player in labor, and, oh, Marshall’s shaved head. A short walk and a hat later, Lily and Marshall are exchanging vows in a small, intimate ceremony in the park with an acoustic guitar. The wedding they always wanted. Of course, there are so many other episodes and scenes I wish I could mention. Let me know what your favorites have been in the comments. But these are the five episodes I can’t miss whenever I see them, so they top my list. And tonight? Who knows. Maybe one of these episode will get knocked off for our finale. Either way, I’m going to be sad to say good-bye to this series. 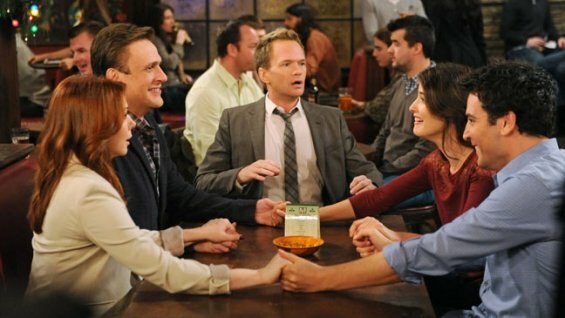 There’s been a lot of theories floating around for how How I Met Your Mother. The biggest, of course, is that the mother is dead, which is why Ted is telling his kids this long story. I disagree with this theory, and while I could write about it, this guy already did it for me. There are also theories that she is sick, or Ted is dead. I’ve also heard that perhaps she’s out saving the world somewhere. There are theories that Ted still ends up with Robin in the end (even if that means Robin and Barney end up breaking up). That seems even more preposterous to me. I have my own theory: That the mother gave Ted the pineapple that we saw in season 1. We all remember the Pineapple Incident. While Ted is trying to get over his feelings for Robin, he decides to let go and have some fun by drinking five shots in a row. Ted ends up blacking out, and the gang has to put all the pieces together, including how his jacket was burned, who’s number is written on his arm, who the woman is in his bed, and where the hell a pineapple came from. Through nine seasons, we have not yet discovered where this pineapple came from. And while the writers of this should could certainly leave this question unanswered (a la Lost), I wouldn’t put it past them to tell us where that pineapple came from. Perhaps that pineapple came from the mother. While I came up with this theory myself, in doing some digging, I’m not the only one who’s considered it. There’s certainly no specific reason to think that she gave him the pineapple. But Ted was blacked out and doesn’t remember anything. And there’s a chance he “met” the mother way back when that he didn’t remember. So as he’s telling it, that’s not when he met the mother. It might be when she met him, but it’s not when he met her. (I’m sure we all have those stories with our significant others; I met you first in class, but you met me first at that party.) And why else would he spend so much time going back to his early relationship with Robin if not to explain that it was at that time that he first met the girl of his dreams without realizing it? It could happen. I mean, I don’t have any secret knowledge or spoilers. But as far as theories go, this one is the most entertaining. It doesn’t involve sickness, death, broken hearts. Just good old-fashioned fun and random events. And isn’t that what HIMYM‘s all about? HIMYM: Team Marshall or Team Lily? Who’s side are you on? 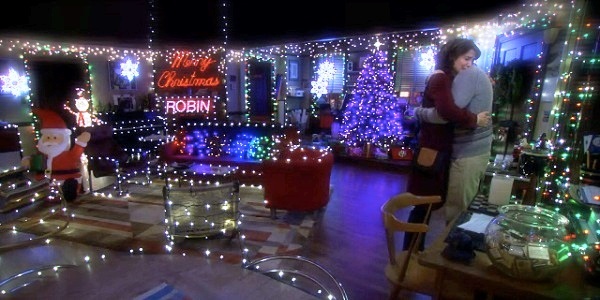 It’s been almost a week, and I’m still debating who’s right and who’s wrong on last Monday’s HIMYM episode, “Unpause.” What ended up being a very sweet episode on Robin and Barney’s part became a heart-wrenching one for Lily and Marshall, where issues buried seven years ago suddenly were brought back to the surface in a really ugly unpaused fight. So you have to ask: Who’s side are you on? Lily has a lot going for her. Marshall should have had a discussion with Lily before taking the judgeship in New York. Lily’s dreams were on the line, and Marshall just threw them away without a thought. And on top of it, he kept it a secret from her. They had plans, and he ruined them. And what’s more? He threw her actions from seven years ago in her face — something she thought they had gotten over a long time ago. But for some reason, I’m siding with Marshall here. Perhaps it’s because we know more of Marshall’s side. We know that he was put on the spot and had to make the decision immediately. We know that he asked if it could wait a year, and he was told no. So he had to take his chance. Now, let’s stop for a second. Should Marshall have brought up Lily’s leaving him to find herself in San Francisco? No. That really should have been let go of long ago. I’m shocked to know that he still thinks of it and holds it against her, considering how open they are with each other and how they insist that they don’t keep score. That was wrong. That was cold. And if we’re looking at that alone, I’m totally on Team Lily (and I would have run right out of that hotel, too). That was ugly. But Marshall did tell Lily that he could talk about his job choice now. Lily claims that was too late — but is it? Could he not turn the job down now, even though he took it before? And isn’t there a compromise? Couldn’t he stay in NY for a year while she was in Italy? Meanwhile, what is Lily asking of Marshall right now? Sure, he agreed to Italy, but he’s stalling his career for a year. Most likely, that year off will hurt his career in a way that would mean he’d never have an opportunity to become a judge. True, he would get to spend time with Marvin (and for all stay-at-home parents out there, I know that’s no simple feat), but he never seemed to be enthusiastic about the trip. At least not that I remember. Is it a selfish decision? Yes, to a degree. But so is insisting they go to Italy, when Marshall has also been given a once-in-a-lifetime opportunity. Lily is looking at this more selfishly, though. While Marshall has been worried sick about Lily’s reaction, Lily has done nothing to but think about herself. Did Marshall play an ugly card by mentioning her actions seven years ago? Yes. And he shouldn’t have. But Lily needs to be more fair in this argument. I’m on Team Marshall. How about you? Well, we got ourselves out of Farhampton this week in a flashback episode that took us to a basketball game, McClaren’s, the old apartment, and a pharmacy that held more meaning than you would have thought. I thoroughly enjoyed everything in this episode (with one exception). This episode really got to the heart of what HIMYM does best: introduce something silly, wacky, or generally funny with a quick twist at the end that makes your suddenly sentimental, stunned, or generally feeling. I loved Barney’s antics (and Lily and Robin’s reactions to said antics), but most of all, I loved seeing why we were seeing this episode. This wasn’t just some filler episode. It had a purpose. It was the moment Ted was offered his new job in Chicago. It was the moment that Barney decided to make Robin his last play. And it was the moment that Barney met the mother. If you’re keeping count, that means two out of five people have now met the mother: Lily and now Barney. I’m loving how this is unfolding. The mother, along with her big eyes, apparently has great perception and wisdom, immediately realizing why Barney was desperate to keep busy with his challenges (I also liked that she called him out for calling her a target). Strangely enough, his behavior didn’t seem so out of the norm for him. And yet, once she identified it, it was clear that it really was. So much of Barney’s storyline was great, and this ending was particularly strong. Kudos. What wasn’t, however, was the stupid, dumb, and generally irritating conversation between Ted and Marshall about his feelings — yet again — over Robin. At this point, the poor dead horse we’ve been beating all season is just a mushy pulp a la the two-parter pilot episode of Breaking Bad. The only thing we need is a ceiling and a bathtub. Dear writers: I am so bloody tired of hearing about Ted’s feelings over Robin. End it. Now. I no longer want to see his wistful face. I no longer want to hear about his feelings. I no longer want to see the blue french horn. Nor do I want to hear a blue french horn. In fact, let’s just get rid of any french horn, or alternately, if Ted opens his mouth — in the past, present, or future — about his feelings for Robin, let’s play a french horn over top of him, so I don’t have to hear it. It’s the wedding weekend for god’s sake. We already had an episode where Barney confronted Ted and he let it go. Why can’t we? Yes, it was interesting to see why Barney won the girl. He didn’t just assume that there was all kinds of time in the world. He took action. Ted did not. But while it was interesting to see that, I was just so sick of hearing about it in general. But beyond that, loved the episode. I appreciated this episode. In fact, if you haven’t already seen it, you should go watch it now. No questions asked. Now, I’m not saying it didn’t have its flaws, and I’m sure by the end of this post, I’ll get to them. But the episode did a great job at intermixing the crazy shenanigans of the HIMYM crew in flashbacks while balancing the present day rather well. It’s their usual style of entertainment, and it worked. Of course, Marshall (of all people) would have plenty of “no questions asked” favors he could ask of others because, of anyone, he’d be the one that would go out and do the wild, crazy things that everyone asked of him. It’s his Midwestern upbringing. And the situations that all of the group got it just felt right as well. Ted would certainly do something as weird and creepy as write a letter to an anonymous woman at the drug store, after overhearing her address. After all, she could be the mother. And Barney always does over-the-top things. Heck, even Robin, who had the most mysterious of all the situations, I could see needing help in such a scenario. While hers was the biggest stretch, knowing Robin, it wasn’t that much of a stretch at all. And all this was done so that they could delete the text message on Lily’s phone. It was silly but creative, and it got the job done. And in the end, I appreciated that Ted was able to pull out the “no questions asked” line in order to save the day. But now let’s take a moment to harp on a couple negatives. First, what got in the way for me was the Barney/Robin realization that they can’t be their solo selves anymore, and they need to work together as a team. Once again, we have the relationship reality hitting them smack in the face — and hitting us in the face as well. I’ve complained before that I hate that we’re squeezing so many of these relationship conflicts into every episode of the season, and really, I think this episode could have been sustainable without it. My other complaint was Lily’s reaction to Marshall’s news. Marshall’s realization that he never wanted to keep secrets from Lily gave us a very heartfelt, emotional confession of his career choice. And what could have been a tense reaction and cliffhanger was instead transformed into a silly joke. Lily’s cartoonish anger and declaration that she’s going to kill him did murder one thing: the moment. We would have gotten so much more out of just an angry face. Or a blank look with silence. Or something that left us wondering what her reaction was. Heck, even just hanging up on him would have been more enticing. Her reaction just killed it for me.